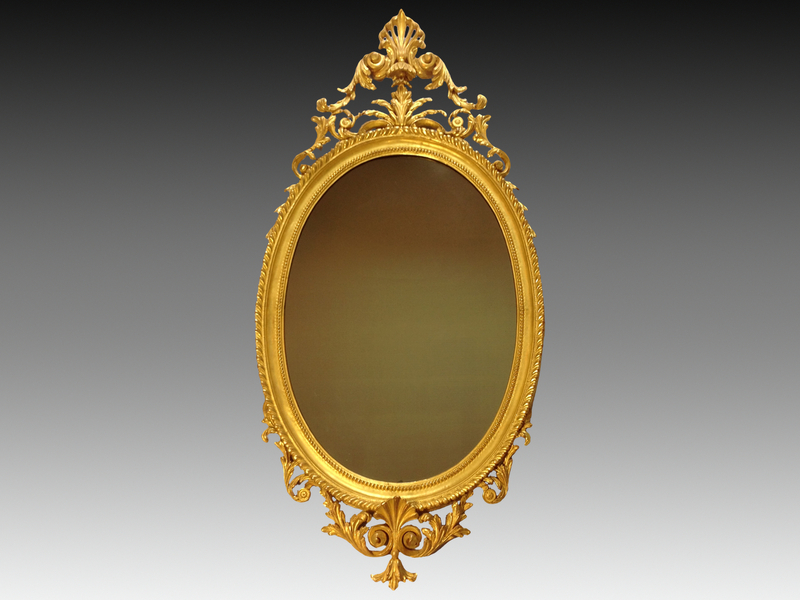 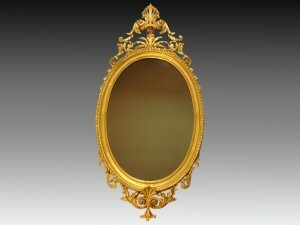 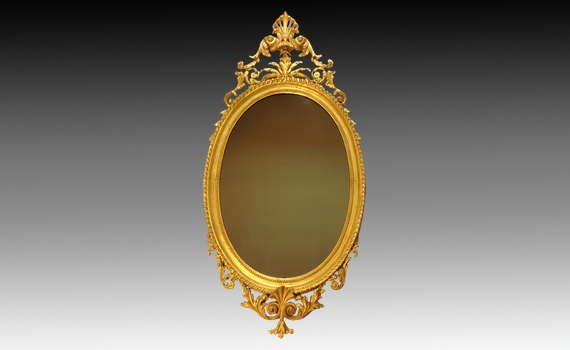 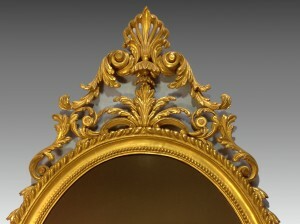 A mid Victorian carved giltwood wall mirror in the Adam style. 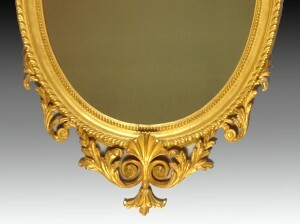 The oval plate inset a bead carved frame with anthemion and acanthus scroll carved surmount and base. 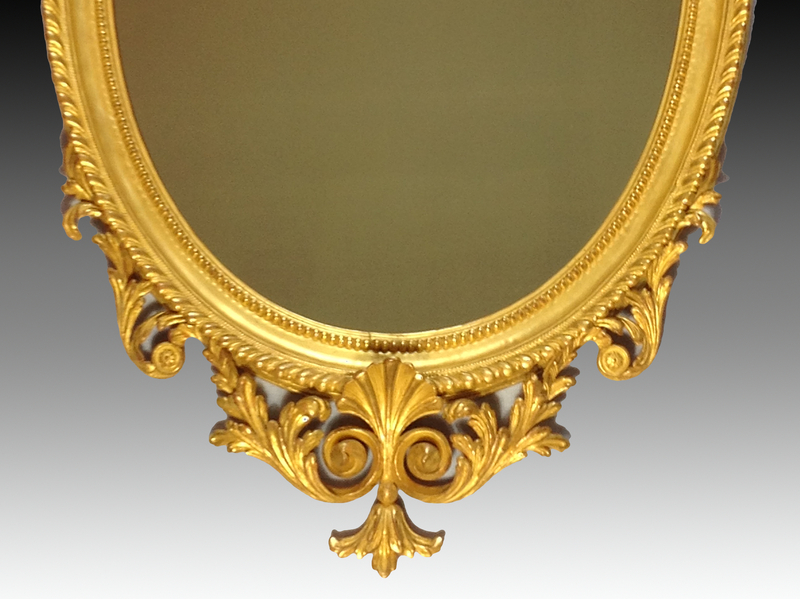 Regilded.